My name is Danielle, I'm 30 years old and I am a fat person who loves fashion, accessories, shoes and jewellery. The main aim for this blog is to help empower you and to inspire you to feel confident through your choices in clothing and accessories. I want to help inspire you to feel confident about your body (what ever size/shape you are) and to show you that there are beautiful clothes out there, no matter what size you happen to be. I have very rarely let my size affect my style or sense of self worth and if I can help at least one person feel great about themselves; then I know I have done a good job! My thing, here on this blog is to fill your eyes with beautiful imagery. 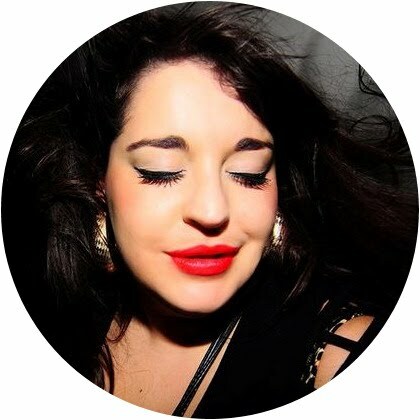 Those images might be of my makeup, my clothing, accessories, my fave London hang outs, my travel ... who knows what else; but I hope you enjoy reading it and please do get in touch if you have anything you want to talk to me about. *Disclaimer - At this stage, I will not accept 'Guest Posts' on this blog. All content will come from me, me, meeeeeee. I will do sponsored posts but I won't except pre-written material - all views/opinions will be my own. I will mark the post "*Sponsored post" or "*this post contains a sponsored link"
If I review an item on this blog I will put a (*) before/after the products name or put that I was gifted the item/it was c/o of a company. Please note that not all items sent to me for review will necessarily end up on the blog. I am also unable to return items sent to me if they don't fit/I do not intend to feature them on the blog. Thank you very much for your understanding.